The Punjab and Haryana High Court on Thursday directed the Haryana DGP to file an affidavit in the contempt of court proceedings case against controversial godman Rampal by 28th November. The high court sent Rampal in judicial custody till 28th November. The HC pronounced the cancellation of bail immediately after Haryana Advocate General and Station House Officer (SHO) of Barwala Police Station in Hisar moved an application stating that Rampal had been arrested in a contempt of court case. The bench comprising of Justices M Jeyapaul and Darshan Singh ordered that he be arrested immediately in the 2006 murder case. The court, which had suo motu taken up the issue of cancellation of bail on 10th November when Rampal failed to appear in the contempt case, had on 18th November reserved the order after hearing the defence, the state and amicus curiae. Rampal was nabbed on Wednesday night at his ashram in Barwala after an over two-week tense standoff between police and his supporters, who were resisting his arrest after non-bailable warrants were issued against him for not appearing in the contempt case. The HC also today directed that he be produced at 2 PM in the contempt of court case after Attorney General B R Mahajan and Barwala SHO Anil Kumar moved an application informing the court that Rampal was arrested last night. A large number of security personnel had been deployed around the High Court complex. 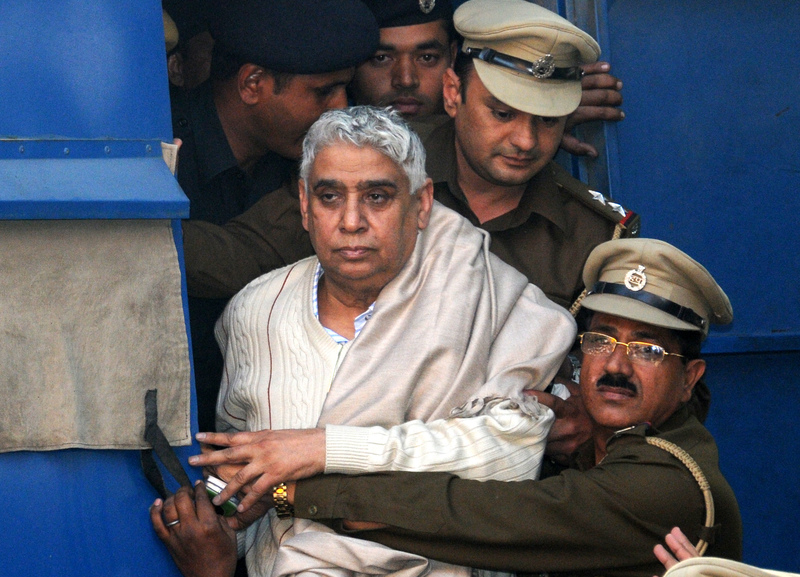 Rampal is on bail in connection with a case of murder registered in 2006 after a clash at his Ashram at Kainthola in Rohtak district where one person had died and some others were injured. The self styled ‘godman’ had failed to appear before the High Court on three dates – November 5, November 10 and November 17. A large number of people and media persons, including television crews, were present at the High Court where a large number of security personnel were deployed to maintain law and order. The Punjab and Haryana High Court had earlier this week issued a fresh non-bailable warrant (NBW) for 21st November against Rampal after he failed to appear in the contempt case, with his counsel saying he was unwell. It had also directed the governments of Haryana and Punjab, the Union Government and the Chandigarh Administration to file a statement detailing the expenses incurred in making security arrangements for Rampal’s court appearance.